In this case, a young woman learns that her uncle has been diagnosed with Huntington’s disease. She talks with her fellow graduate students to try to better understand the physiology of the disorder, along with the medical and personal implications for the patient and his caregivers. 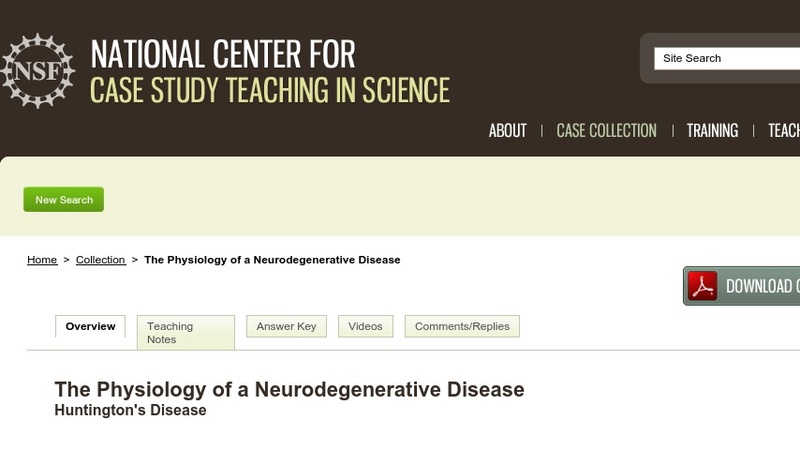 Students review scientific papers to help them address a series of guided questions about the symptoms and care; the roles of membrane potential, neurotransmitters and cell death; and experimental approaches to understanding the disease. The case encourages students to integrate ideas from a range of biology disciplines to develop a conceptual framework for what is currently known about Huntington's. Developed for an upper-level college physiology course, this case could also be appropriate for classes on cell biology, molecular biology, or genetics.